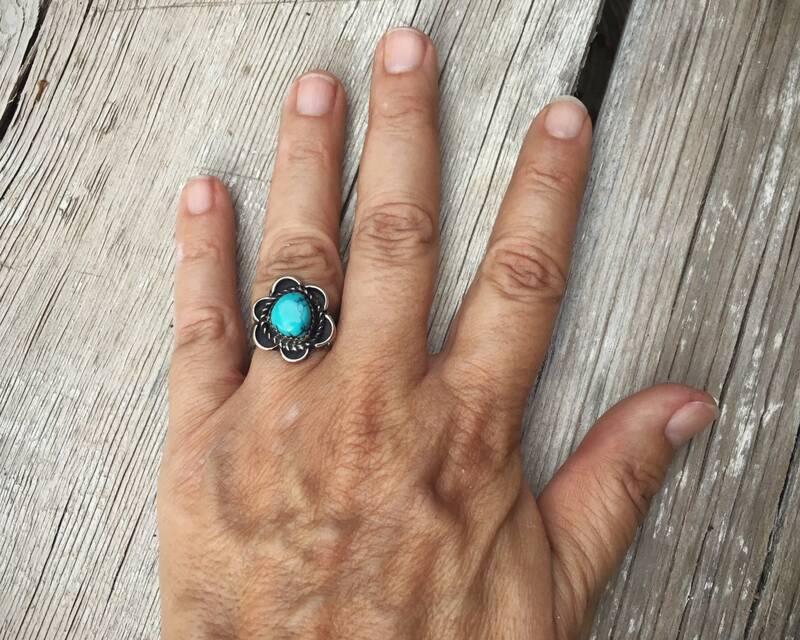 This sweet ring by Navajo Gary Nez is made of German silver, which is a nickel alloy. 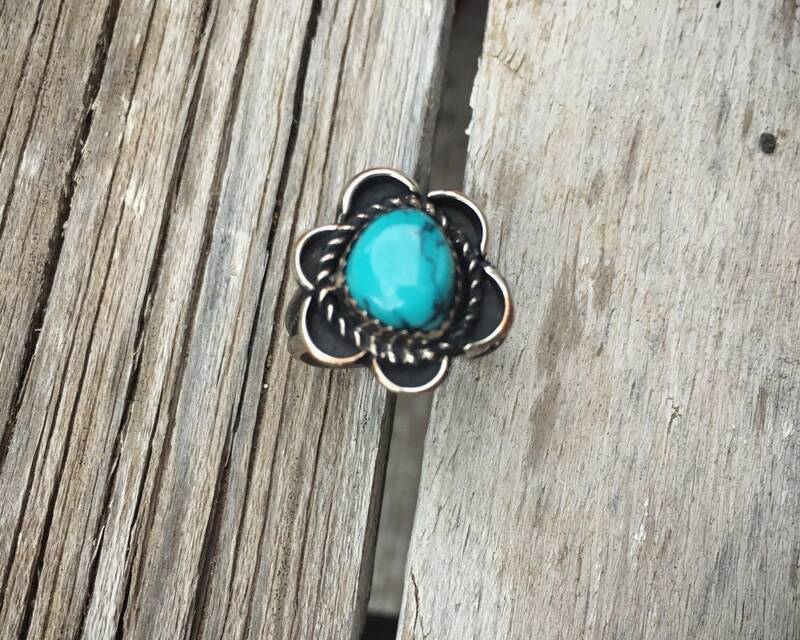 Such rings were made to provide an affordable alternative to sterling silver. 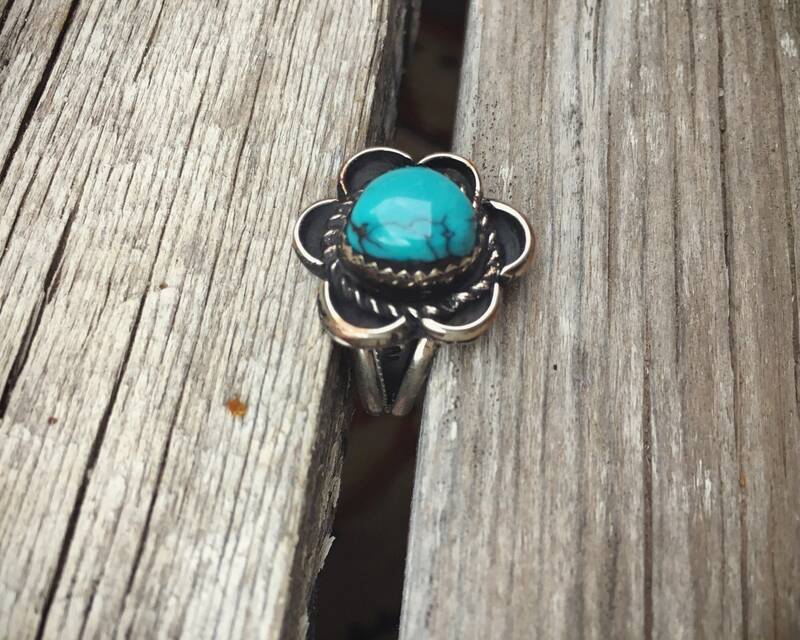 The ring is a traditional design with a flower base and twister wire, and the turquoise in a sawtooth bezel. 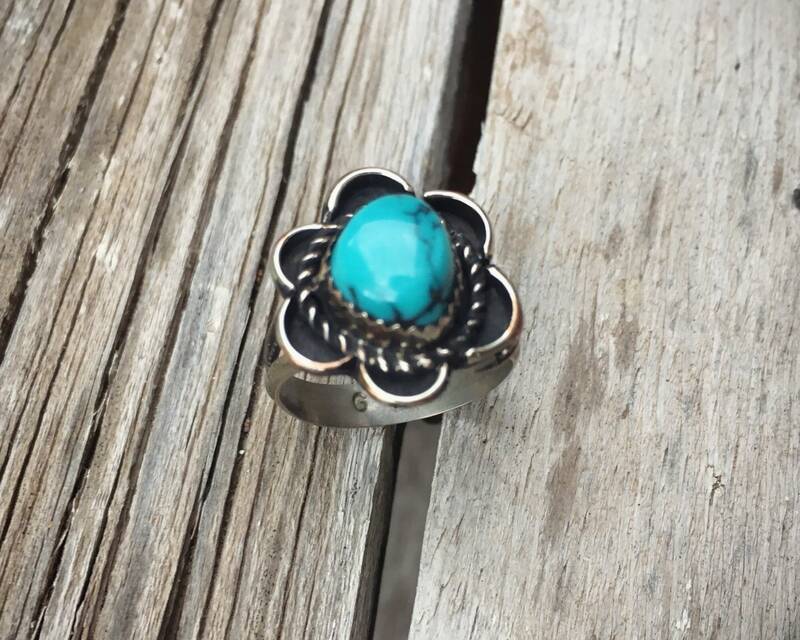 The turquoise cabachon extends above the bezel by a good amount, and looking down at the ring it does remind one of a daisy. 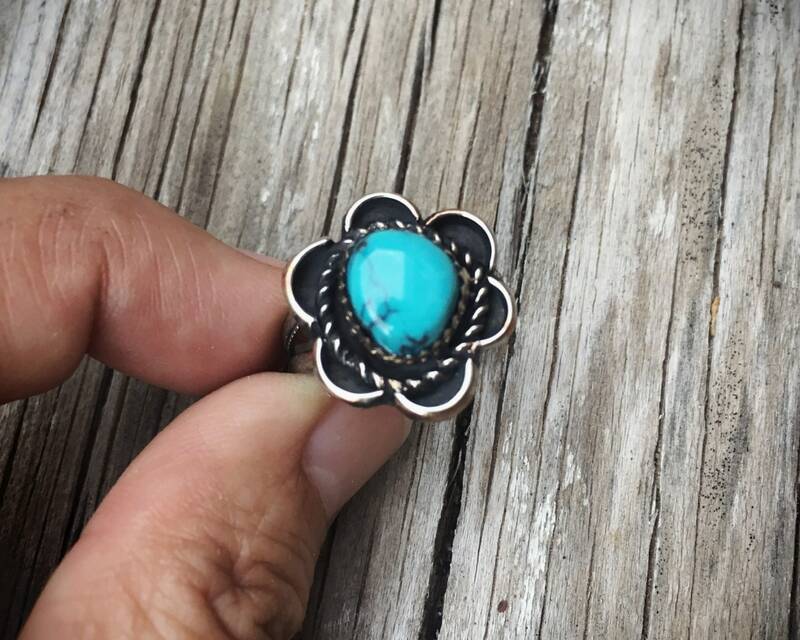 The ring face measures about 3/4" in diameter, and the turquoise cabochon about 3/8" at the widest point. 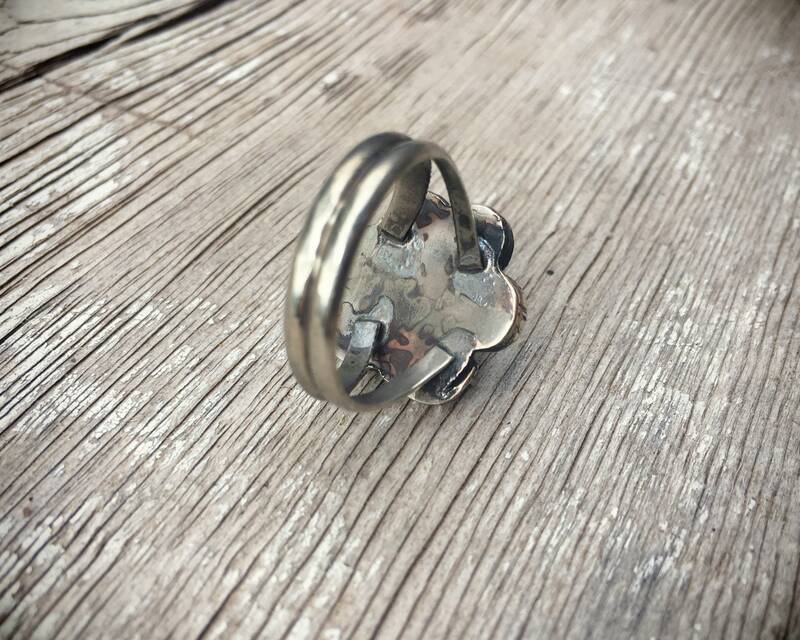 Ring face sits on a double shank band that complements the design of the ring. Interior of the band carries the artist's hallmark GN.